A Winter fairy summoned by the ring of a bell. 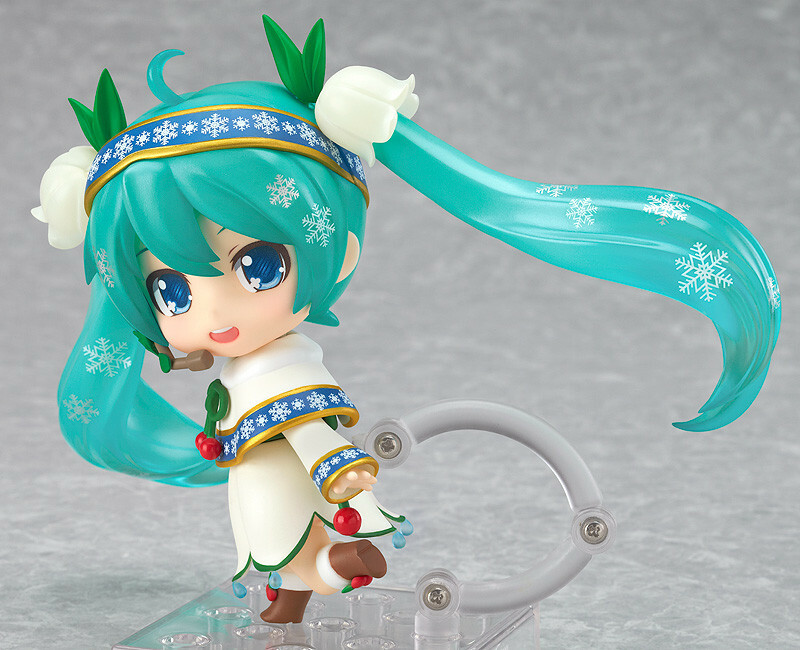 Snow Miku has reached its 6th anniversary this year, and once again this year's design from piapro was decided by fans on the NicoNico Live Broadcast, and has been transformed into a Nendoroid! The theme this year was 'Plant Life in Winter', and the winning design was this fairy-like design by Taran! Rabbit Yukine is also included based on the adorable design by Hayuki! 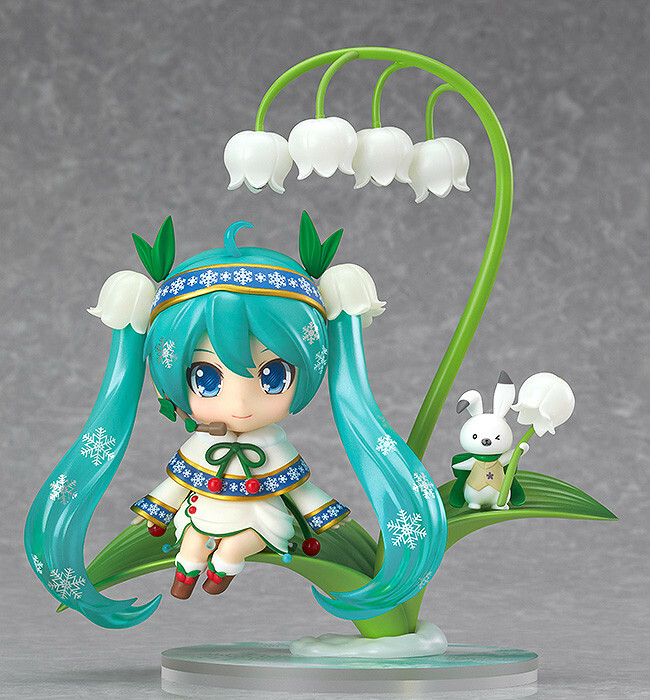 The lily of the valley held by Rabbit Yukine can also be switched out and held by Miku instead! 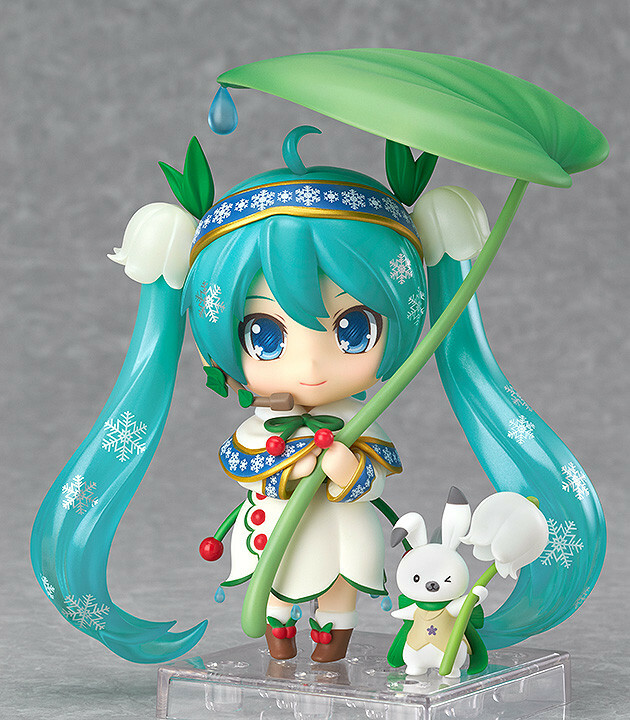 Various other plant-themed optional parts are also included, such as a large leaf for her to use as an umbrella, as well as some lily of the valley bells in the shape of a treble clef. 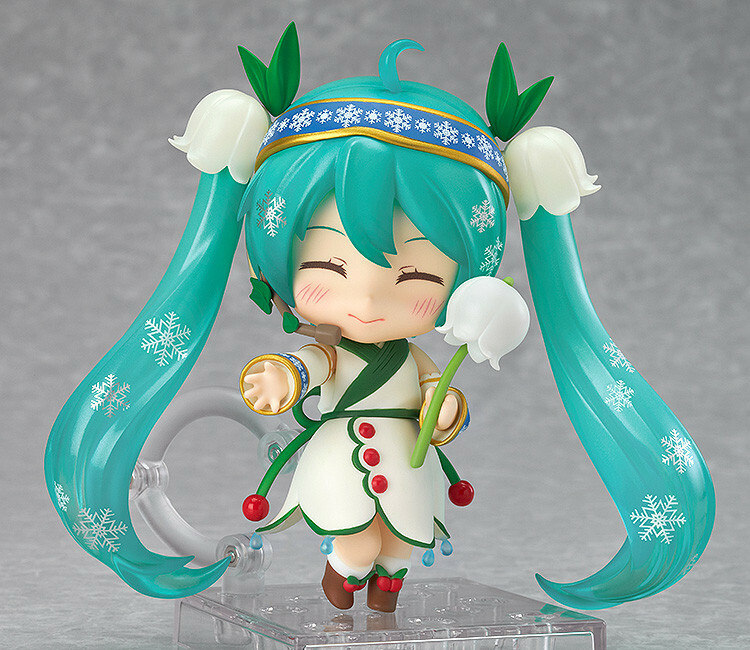 A special lily of the valley base is also included, which actually includes ringing bells! She also comes with sitting parts, allowing for even more posing options for fans to enjoy! 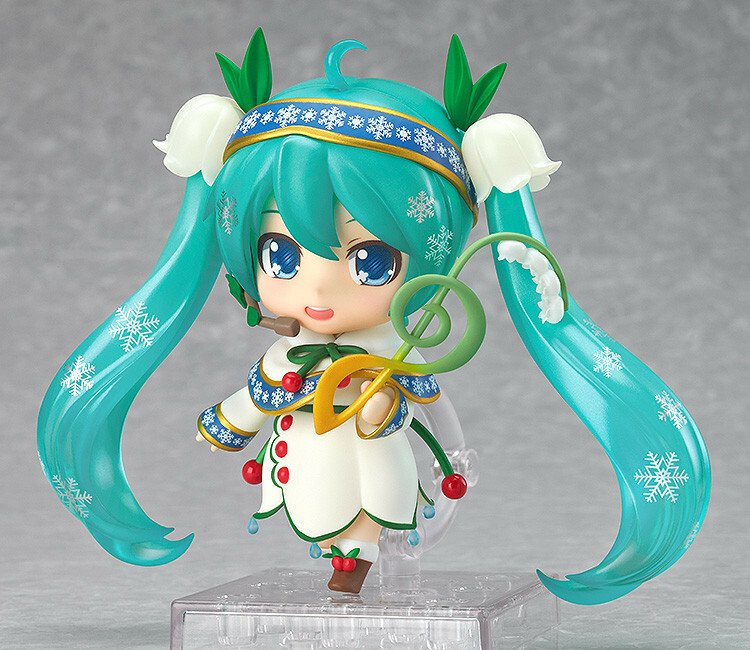 Nendoroid Snow Miku: Snow Bell Ver. will be available for collection to those who were selected in the purchase lottery. If you were selected to purchase the item, please take your collection ticket to the Sapporo Factory Hall Special Exchange Area and collect your product. Please ensure you have read the payment and collection information listed on the LivePocket website. 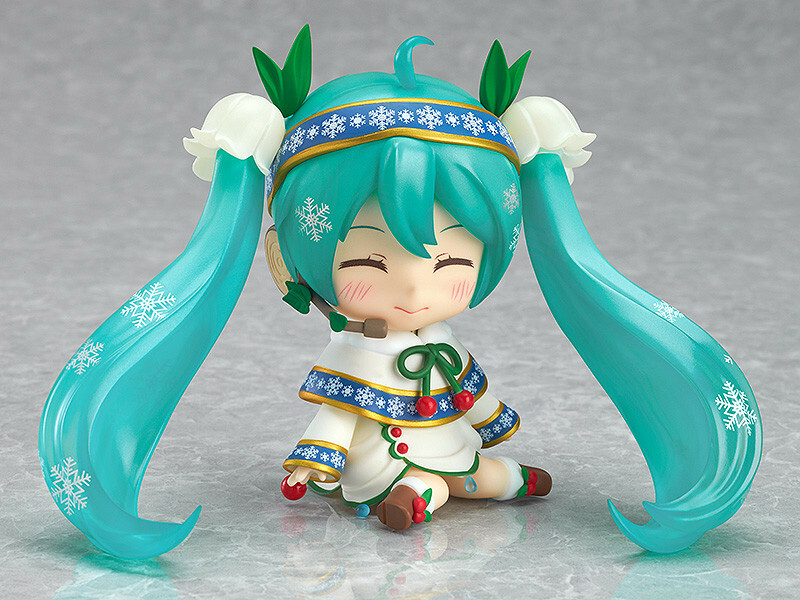 For more information, please see the SNOW MIKU 2015 Website below.